We check over 450 stores daily and we last saw this product for $47 at BaubleBar. 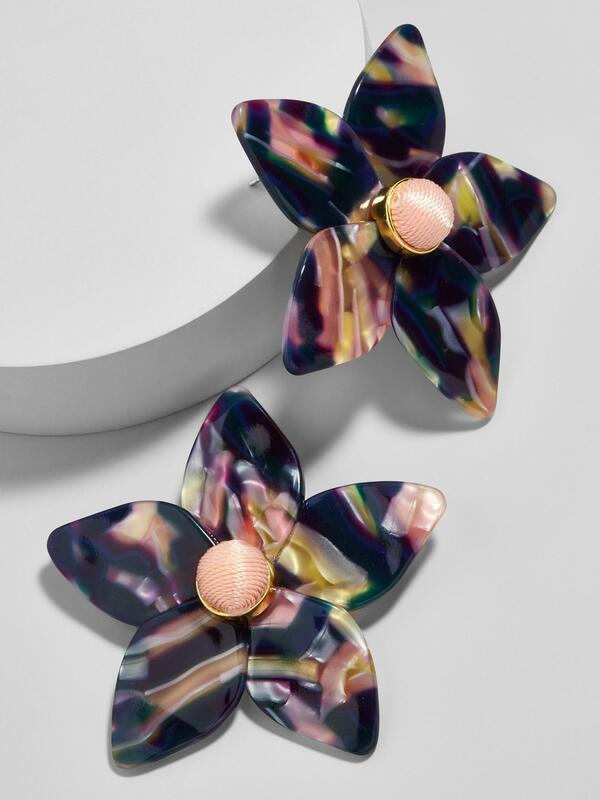 Whether for day or play, complete any look with these fresh and feminine flower stud earrings, featuring a textured palette in a glossy finish. Zinc casting, acetate flower, titanium posts. Shiny gold plating. Post back. Length: 1.5"; width: 1.5". Medium weight 0.26 oz.